I remember playing this game when I was younger. I still haven′t found a good, new game that is like it. It plays great on Linux using Wine. The only thing that I found is needed is the updates, which I just checked are still available on there website (just search for Gearhead Garage to find it). Share your gamer memories, help others to run the game or comment anything you′d like. 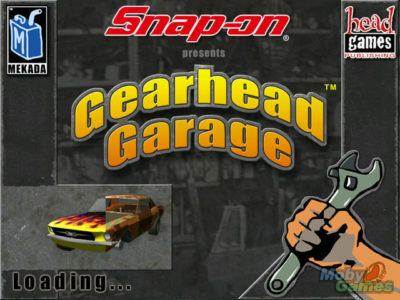 If you have trouble to run Snap-on presents Gearhead Garage: The Virtual Mechanic (Windows) first! Several people have mentioned that they can′t get it working on Windows 7+. You need to run a virtual desktop with Windows 98 to get it to work properly. Gearhead Garage is addicting. I love it! Car Mechanic Simulator 2014 and 2015 look good, but require internet connection. I only play games that NEVER require access to the internet — as I often play where there is no internet. Now days we have Car Mechanic Simulator 2015 It has to be the one game that comes close to gearhead garage.